We have one more date for you and it’s a biggy – the ‘Transpyrenees 2007’. Don’t book your flights yet though, because although we’re pretty certain of the dates, we’re not 100% sure! Price: £395 (includes accommodation, breakfast, evening meal, unlimited TORQ products and all seminar materials. You will have to pay for your flight and lunches). 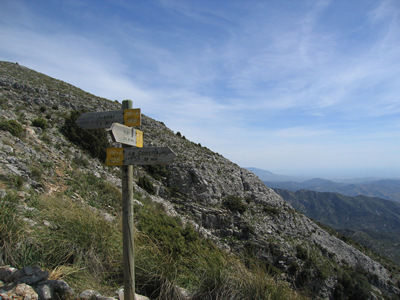 Purpose of Fitness Week: This week is being run from the Andalucia region of Spain (where it is warm). The aim of the week is to encourage all riders taking part to spend long periods of time riding at relatively low intensity to build base fitness for the coming season. We have 3 guides; so ALL abilities will be catered for. The riding will involve a combination of both road and off-road riding. Daily seminars will take place on a variety of fitness and nutritional topics too, so not only should you leave the party fit, you should be very well informed too. Price: £430 (includes accommodation, breakfast, evening meal, unlimited TORQ products and all seminar materials. You will have to pay for your flight and lunches). If you are planning on participating in the Transpyrenees event, there will be an entry and transfer charge. We approximate this to be about 45 Euros). 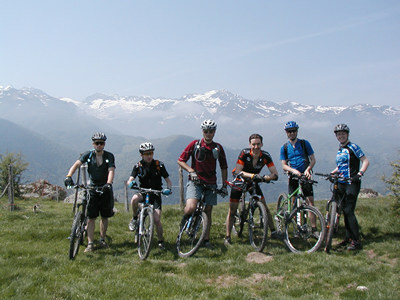 Purpose of Fitness Week: This week is being run from Luchon in the French Pyrenees.  The aim of the week is to create a ‘text book’ trough of fatigue, encouraging something called supercompensation (a fitness peak) for a very important event on the UK Mountain Biking Calendar. The second NPS is ‘almost’ a World Cup event with UCI points up for grabs, so if you’re wanting to be going well for a race in 2007, this is a great one to target. It has to be said however that this week is open to ALL. We have 3 guides, so everyone will be taken care of. Whilst the super-keen riders will be drilled into the ground, the more chilled-out guests will be able to enjoy sensational off road riding too – at a more amenable pace. We’ve done it before and we’ll do it again (see Ian Potter’s take on the TORQ Fitness Weeks below if you are at all worried). Ian will of course be giving his usual measure of technique coaching. Again, as with Spain, daily seminars will take place on a variety of fitness topics. Price: £430 (includes accommodation, breakfast, evening meal, unlimited TORQ products and all seminar materials. You will have to pay for your flight and lunches. If you are planning on participating in the Transpyrenees event, there will be an entry and transfer charge. We approximate this to be about 45 Euros). Purpose of Fitness Week: You can take this week as seriously as you want. Some riders will be targeting the Transpyrenees as a major event on their calendar, whilst others will just want to ‘give it a go’. There are 15, 30, 55 and 80km options, so everyone can do it and we’ve had all abilities competing in this event in the past. After the event? Quite simply, we’re all going to enjoy the fabulous riding that the French Pyrenees has to offer. 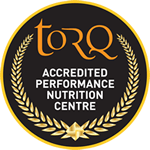 Of course AQR’s Ian Potter will be giving his usual measure of technique coaching and TORQ will be running daily seminars on a variety of fitness topics. Further details of TORQ’s 2007 Fitness Weeks are available in the TORQ online shop, so click HERE for further options. TORQ have certainly made an impact at many of the races this year, in fact TORQ products have made quite an impact on many bodies this year, including my taste buds. When I first met Matt Hart I was trying to find a suitable energy product that would help me stay fuelled for long days in the saddle as a mountain bike guide. 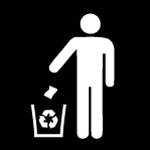 I had tried numerous energy bars, gels and drinks, but either my stomach complained or else I couldn’t bear the taste. Although I don’t train for anything specific, I need to be able to ride all day, 5-6 days a week, and then have enough energy left over to be dragged out by my wife Cotic Bontrager racer Kate Potter, on my one day off, to participate in what she calls ‘a really fun interval session’ (not!). I tested a mouthful of apricot TORQ bar a couple of years ago, bought a box of TORQ bars, which took seconds to devour, and the rest is history. I not only use TORQ energy drink to keep my legs moving, but also love a bar as a treat at the end of a ride. As I spoke to Matt more and more at the races, he’s not one to stay silent for very long hence the name ‘TORQ’, I discovered more about fitness and nutrition. My racing days finished in the 90’s, so I wasn’t trying to find out about how I might re-shape my self in time to take on the Masters at the races. I just wanted to ensure I was doing everything I could to feel stronger for longer when working as a guide and also to ensure I still had enough energy to Mountain Bike with friends after work. There is nothing worse than working as a guide all week and then feeling too tired to actually ride for myself on my day off. The more Matt and I discussed the concept of improved performance, nutrition and recovery, the more I wondered about how many riders out there actually focus on their mountain bike technique and skill to the same degree. While I never think about improving my fitness, I’m constantly working on increasing my skills and teaching others how they can be more efficient. Kate Potter is a good example of someone I introduced to mountain biking three and half years ago, who at the time had good general aerobic fitness, but now has excellent balance, technique and can ride the most technical terrain. All her skills have improved dramatically over the past couple of years, but Kate still knows she can be quicker with more skills practice, as well as more physical training as set down by her coach Matt. 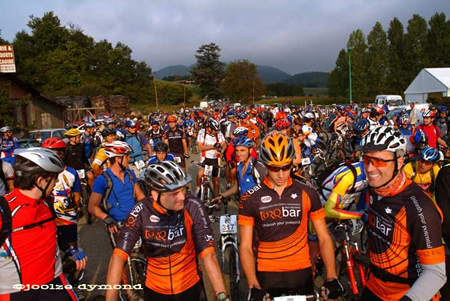 Matt and I decided to team up in 2005 by offering TORQ Inspirational Weeks in the French Pyrenees. Before you start thinking that these particular weeks are only fitness camps, then you better think more along the lines of a week of Mountain Bike inspiration. The week is what you want it to be and attracts a wide range of Mountain Bikers, the only comparison between guests is that they all love to ride mountain bikes and have a desire to improve. TORQ Inspirational weeks focus on every aspect of mountain biking, from riding for pleasure to learning more about how ‘you’ the individual can improve your fitness and Mountain Bike skills, along with plenty of socialising and great food to keep you smiling. Matt supplies never-ending boxes of TORQ bars, energy drink and ribose that will keep you buzzing. Each day is broken into guided riding, optional seminars in the late afternoon, and technical skills sessions on the trail. Matt spends a couple of hours discussing several performance and training topics to help individuals understand more about their own fitness, nutrition and how they can improve their endurance and power on the bike. While I cover technique, skills and bike set up to help you become a more efficient or even a flashier rider to show off to your buddies back home. I have just returned from Luchon and a week with A Quick Release Holidays/TORQ Fitness in the French Pyrenees; okay so this is a first foreign cycling excursion for me but if this is the standard then this week has set a very impressive benchmark. It is very difficult trying to condense the good buzz from the whole week into only a short paragraph without waffling on, but the location is superb with excellent riding right on the doorstep of the hotel. Energy sapping climbs are rewarded with equally energy sapping, but exhilarating descents, on varied trails – fire road, rocky, loose, dusty, rooty, wooded, you name it Luchon can offer it all. Russ the chef fuelled us up each day on good quality hearty food, including homebaked cakes and coffee in the afternoon to keep things ticking over until dinner. For further information on both these weeks, please contact us at enquiries@torq.ltd.uk or phone 0845 128 4312.